At K&R Construction we can design and build new kitchens and bathrooms from the ground up or upgrade your existing cabinetry. Custom doors, drawers and stain color to match a preexisting vanity perfectly. 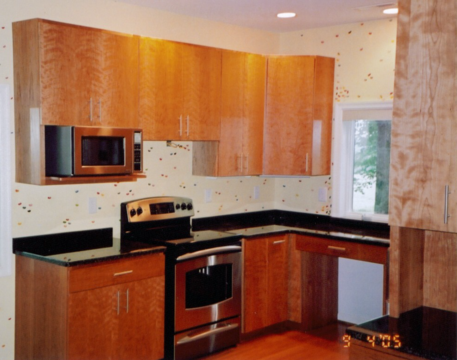 We can match any cabinets, design, and color like we did in this kitchen. 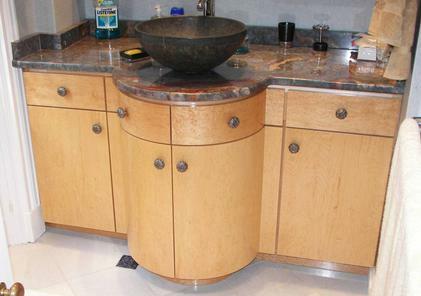 This particular client wanted us to add cabinets to their existing kitchen.